You've probably heard the term "Amazoned" recently. 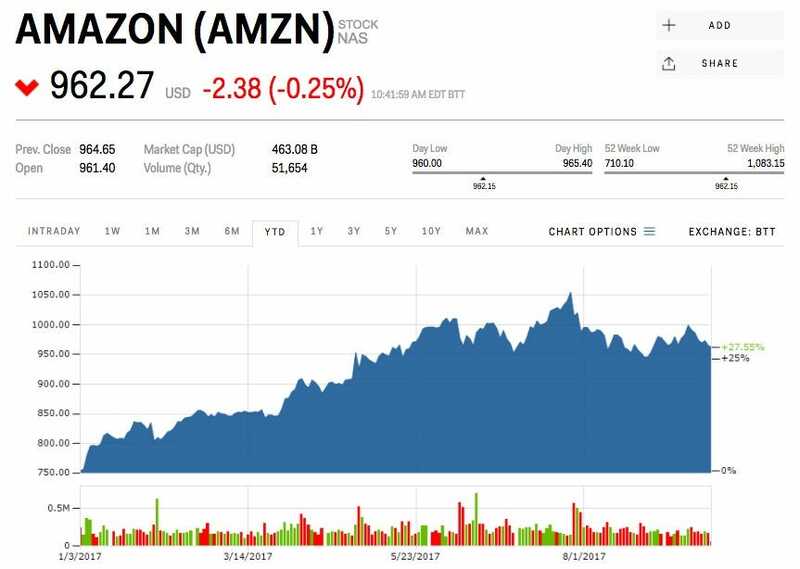 It refers to Amazon's power to erase billions of dollars of competitor market cap by simply announcing that it's entering a new sector. It's an effect most clearly demonstrated by Amazon's recent acquisition of Whole Foods, which has sent shockwaves across competing grocery stores, brick-and-mortar retailers, and even pharmacies. To see how far this Amazon effect will go, analysts at Morgan Stanley surveyed their peers to see which sectors will be the most impacted by Amazon in the near- and long-term. Most analysts surveyed, more than 40 in total, said that food retail would be the sector hit the hardest. Amazon entering the food retail space through its Whole Foods purchase has already erased billions from grocer's market caps. In second place were department stores, with 49% of analysts saying that's the sector Amazon would disrupt the most in the next 12 months. This makes sense as consumer habits have been shifting towards ecommerce amid the retail apocalypse. In the non-consumer space, Wall Street sees logistics and transportation as the most vulnerable to Amazon, with 43% of analysts voting for this option. Retail real estate investment trusts came in second, with 36% of the vote. Amazon owns significantly less warehouse space than people think, with Walmart way out in front by that measure. The Whole Foods purchase adds about 1 million square feet of space to Amazon's warehouse holdings, but the company is looking to expand, which analysts think could upset the retail real estate industry. Morgan Stanley's survey also asked analysts about which industries were mostly safe from Amazon's reach. They replied saying dollar stores would take the longest for Amazon to disrupt in the consumer space, while healthcare and commercial REITs would be the safest in the non-consumer space. As for the sector that has been the most unfairly impacted by Amazon? Well, that would be auto parts retailers, according to those surveyed. Shares of Amazon are up 27.55% this year.